My good friend Tiffiny Federico is a great cook. She’s a better cook than I, frankly. Tiffiny is also a schoolteacher. When in school, she has very little time. 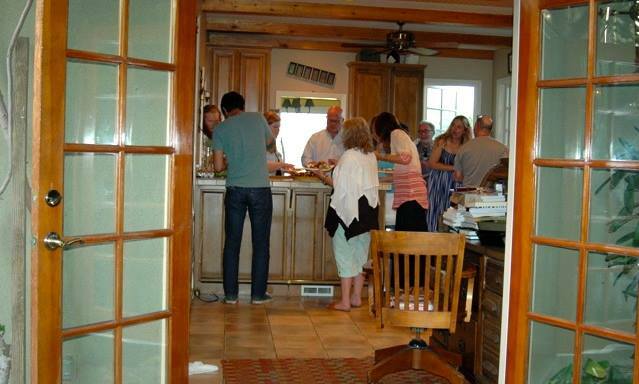 About 5 or 6 years ago, bemoaning our inability to spend quality time together, we came up with an idea: have a cooking day where we could hang out in the kitchen, cook some food, drink some wine and catch up. We decided if we were going to cook all day, we might as well try all new recipes. Tiff and I give each other cookbooks at Christmas. One of the cookbooks we exchanged that year was The Gift Of Southern Cooking by Edna Lewis and Scott Peacock. Neither of us had cooked from it, so we decided to cook solely from that cookbook. 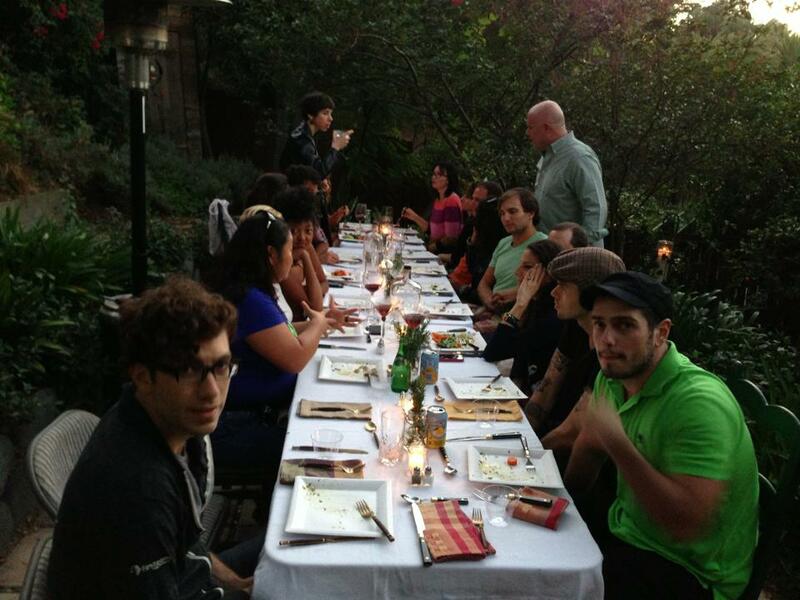 Because we were going to end up with a lot of food, we invited some friends over that night for a casual dinner. 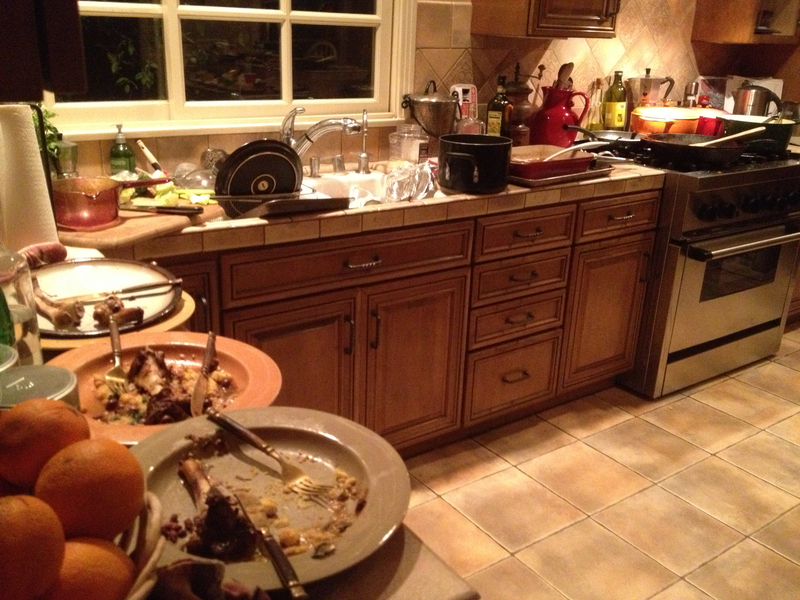 Everyone could try out the dishes we’d made for the first time. View from the backyard into the kitchen. It was such a hit, we did it again. And again. We now do it once or twice a year and have cooked our way through some wonderful books such as Sunday Suppers with Lucques, The Mozza Cookbook, At Home in Provence, etc. Once we land on a cookbook, Tiff and I get together a week early (and make dinner, natch) to pick our recipes from the book we want to explore. 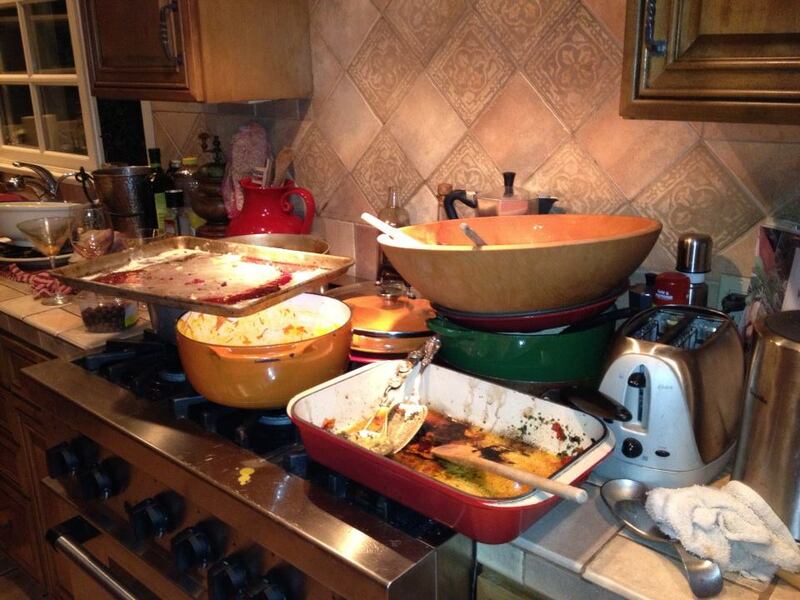 Usually we pick 4-6 recipes each, choosing a good variety from appetizers, entrees, sides and dessert. We do some prep before the actual event, then the day of Tiffiny comes over in the morning, we cook all day and have people over that night to sample. There is no fear of anything going wrong, every dish is new and no one cares how it all turns out. We’ve had some incredible dinners, however. I highly recommend this, it’s a fun way to try a bunch of dishes, adding new winners to your repertoire. And you can have a great time with good friends. We now open the kitchen to everyone late afternoon in case anyone wants to sous chef or hang out with us as we cook. The rest show up around 6 and we dive in. The entire day and night is a blast. It also creates one hell of a mess. But that’s fun, too. This summer we actually had two cookbook nights. 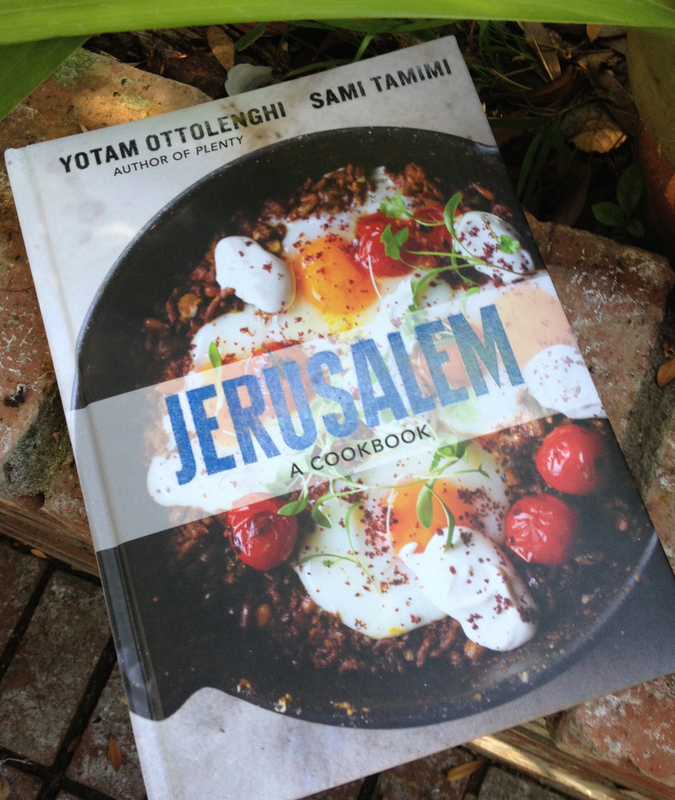 We started in June with Jerusalem by Yotam Ottolenghi and Sami Tamimi.